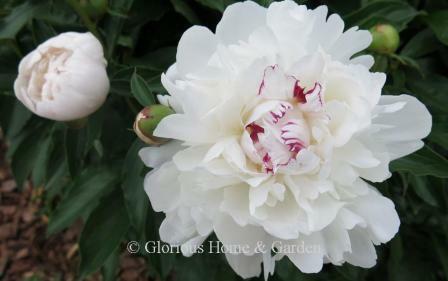 Peonies are Long-lived Perennials that Will Grace Your Garden for Decades to Come. 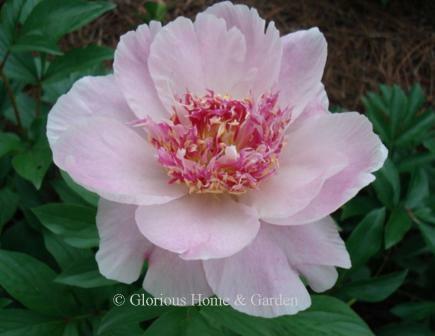 Peonies have been the subject of art and culture for millennia. Once the privilege of kings and emperors where they were carefully cultivated and jealously guarded in China and Japan, today these abundant and luxurious blooms can be enjoyed by all. It is easy to fall under the spell of these captivating blooms. I think I first caught the bug on a visit to White Flower Farm in Litchfield, Connecticut years ago. I was fortunate to see them at the peek of their bloom in June, and was blown away by their size and beauty and abundance. 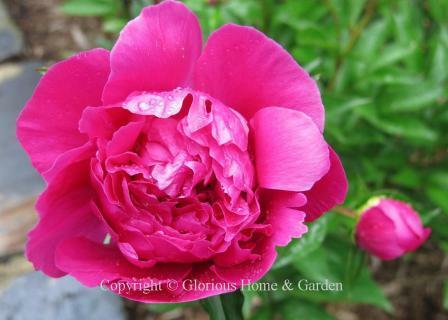 The first peony I ever bought was 'Mrs. F. D. Roosevelt,' a pale pink with gently overlapping petals. 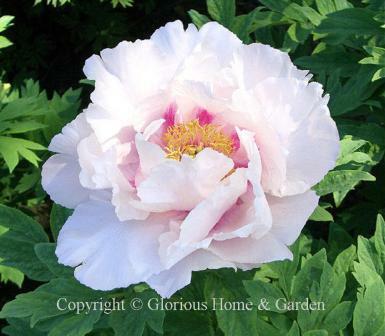 Grace your garden with the beauty of the peony. 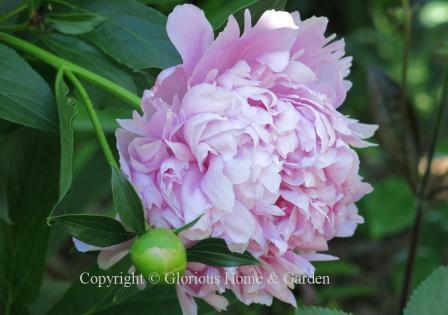 Herbaceous peonies are the flowers that come to mind when one thinks of peonies. They are lovely, and most of them are fragrant, though the whites and pinks tend to be the most fragrant. They come in a wide variety of flower forms from single to very full doubles. The very full double types, such as rose and hundred proliferate, are huge heavy flowers requiring staking and do best in northern climes. The simpler and early blooming ones tend to do better in the southern end of the range. Rose: Up to 20 rows of guard petals, very full. Bomb: One or two rows of guard petals and tight inner ball of short petals. Peonies need 8-10 hours of full sun, consistent moisture, with good drainage and rich soil to thrive and become as beautiful as they can be. 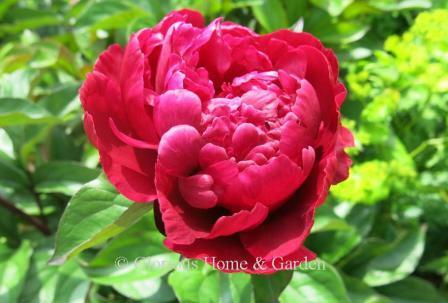 Big Ben-red, crown type, mid-season, to 36”, fragrant, introduced 1943. 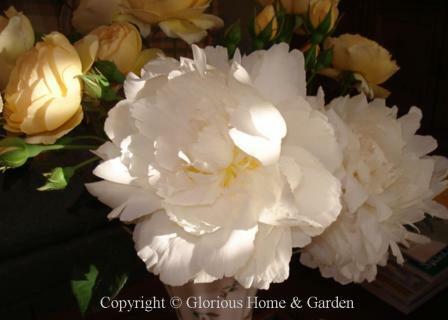 Bowl of Cream-creamy white, rose form, mid-season bloomer, to 31” h., light fragrance, Gold Medal award winner in 1981. Coral Charm—absolutely gorgeous color, lovely soft peachy-coral that fades to cream, bowl-shaped with recurved petals, early season, lotus form, to 36”. 1986 Gold Medal winner. 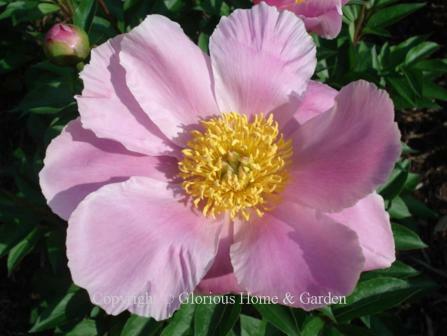 Dawn Pink-deep pink fading to softer pink with yellow stamens, single form, mid-season, to 36”, fragrant. Do Tell-shell pink with darker rose-pink and yellow staminoides—very distinctive, anemone form, mid-season, to 32”, Gold Medal award winner in 2004. Festiva Maxima-white with raspberry red flecks, hundred proliferate form, mid-season, to 34”, fragrant. One of the oldest varieties in cultivation, introduced in 1851. Isani Gidui-white with yellow staminoides, Japanese type, mid-season, to 34”, not very fragrant. Krinkled White-white, single type with crepey petals, mid-season, to 34”, fragrant. Madame Gaudichau--one of the deepest reds, double form, mid-late season, attractive dark foliage and red stems, from 1902. Mons. Jules Elie-pink, bomb form, early bloomer, to 36”, fragrant. Another oldie but goodie introduced in 1888. Soft Salmon Joy-soft salmon pink, single form, mid-season, 30”, fragrant. 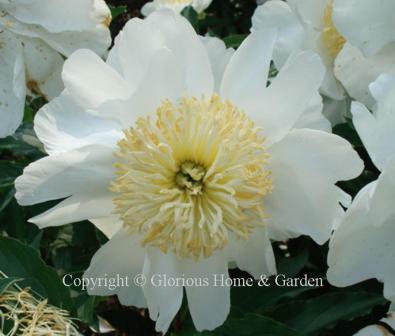 Tree peonies are wonderful for their large flowers, fragrance and graceful forms. They make excellent specimens in the garden. 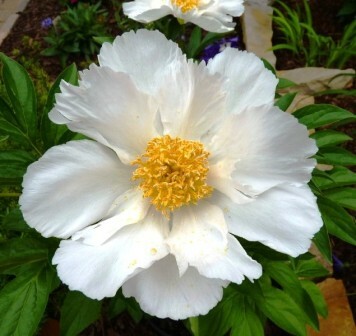 The shapes of tree peony flowers is broad, and includes single, lotus, chrysanthemum, rose, crown and bomb types. 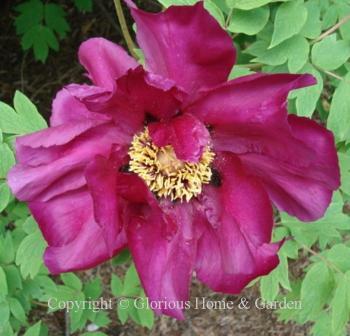 Tree peonies are deciduous woody shrubs that can reach 5 to 7', and add structure and grace to the garden. 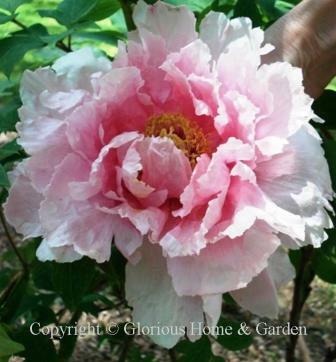 Itoh hybrids were named for Japanese hybridizer, Toichi Itoh, who was the first to successfully cross herbaceous peonies with tree peonies. 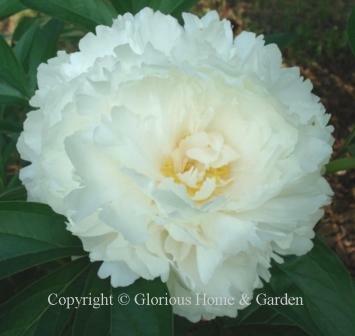 The hybrids are herbaceous, so they die back to the ground each year, but have the larger blooms, divided foliage, and sturdier stems of the tree peony parent. 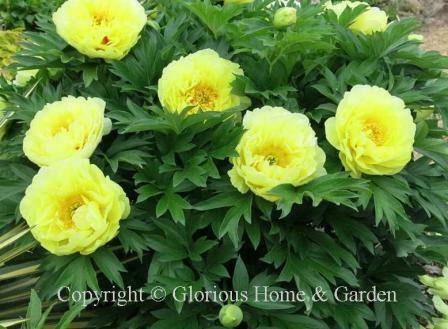 The yellow color comes from crosses with Paeonia lutea. 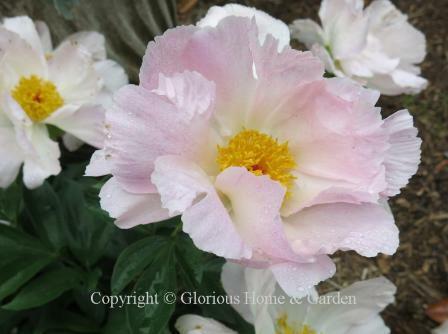 The Itohs are very useful in the garden for their wide color range, and they bloom after the herbaceous peonies, thus extending the season—and who wouldn’t want to extend the peony season? Bartzella-yellow, double, mid-season, 32”, fragrant. Gold Medal award winner in 2006.